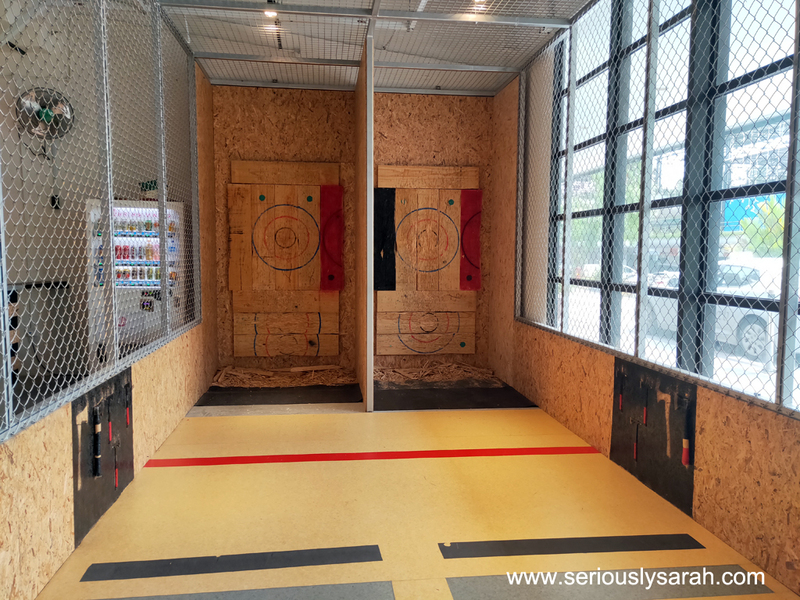 Axe Factor is Singapore’s first axe throwing range. 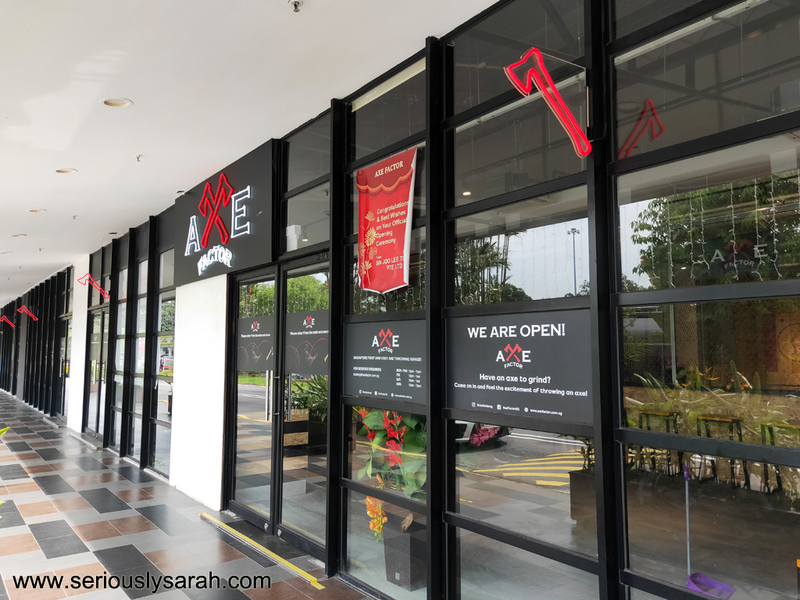 Yeah, so if you were gonna google for axe throwing Singapore, this will be the only place with a range as of time of this post. Well, you can book your slot online on their website and pay a deposit of half of how many people are attending it. 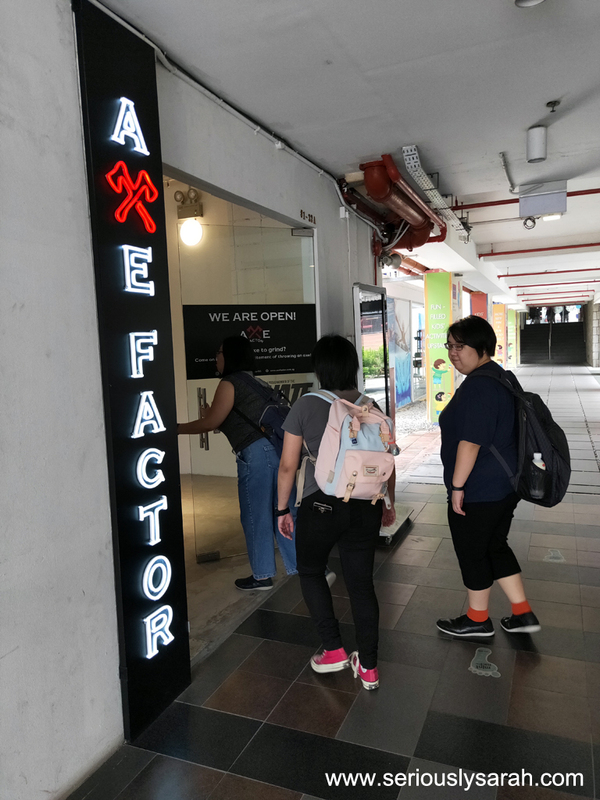 Unfortunately for me but fortunately for those north/west siders, Axe Factor is at The Grandstand, 200 Turf Club Road unit #01-32A/B and 34A/B, Singapore 287994. It’s the one facing outside, not the block with the food shops and supermarket. You get in by the main door which is by the side. I booked online and arrived early. You can have walk-ins too but you might have to wait if it is a popular timing and there’s lots of people? 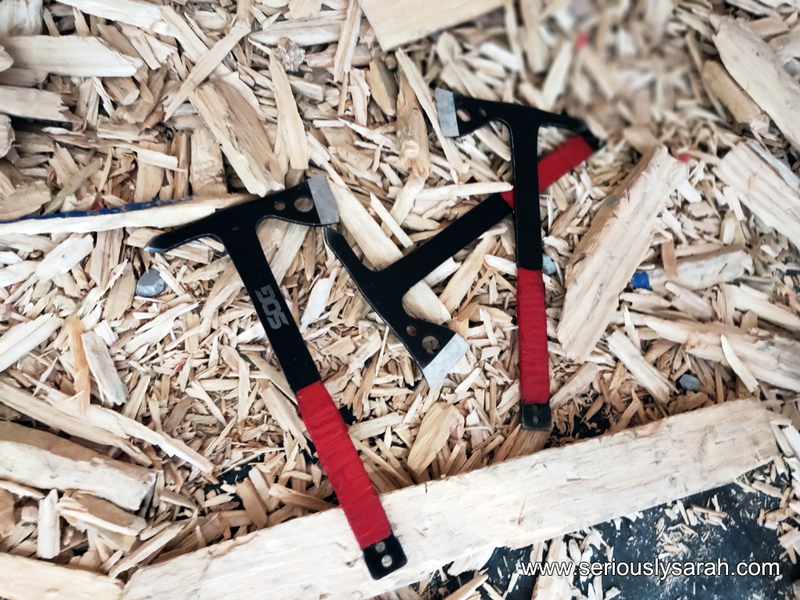 Two types of axes were available. You will be briefed on how to throw them and safety procedures. Also no, the axe is not sharp because if you looked at the axe throwing sport websites, they recommend the axes NOT to be super sharp to hit at the target. This doesn’t mean you shouldn’t be aware of where you’re throwing your axe though. Safety first! Hitting a target isn’t that easy. 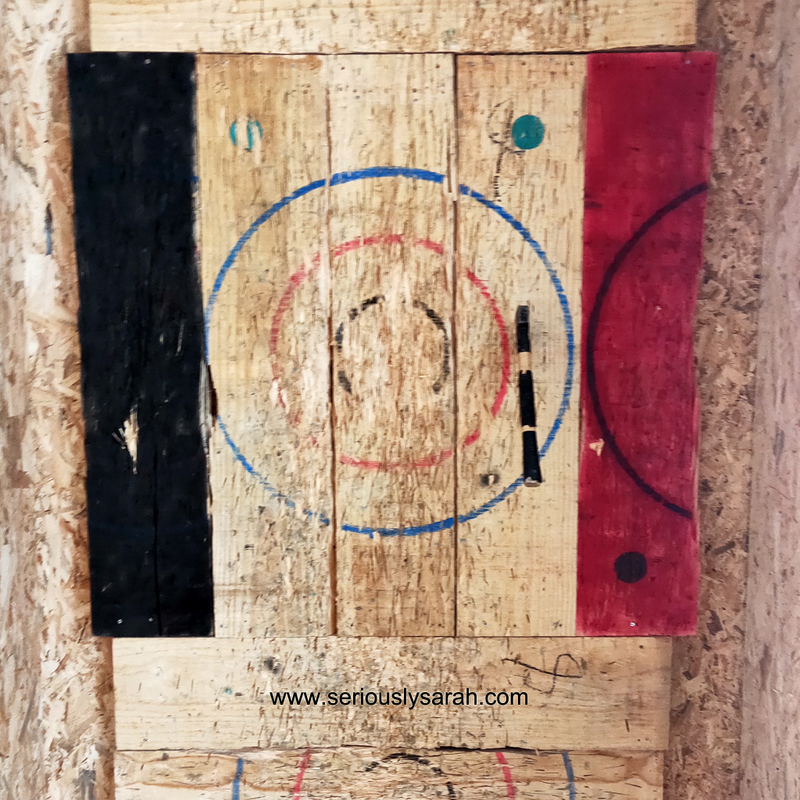 Compared to archery (I miss the range that was at Suntec), this is harder because you got to spin your axe and yet spin it so that it is ‘flat’ in the air and not going side ways or else it’ll bonk on the target and fall. 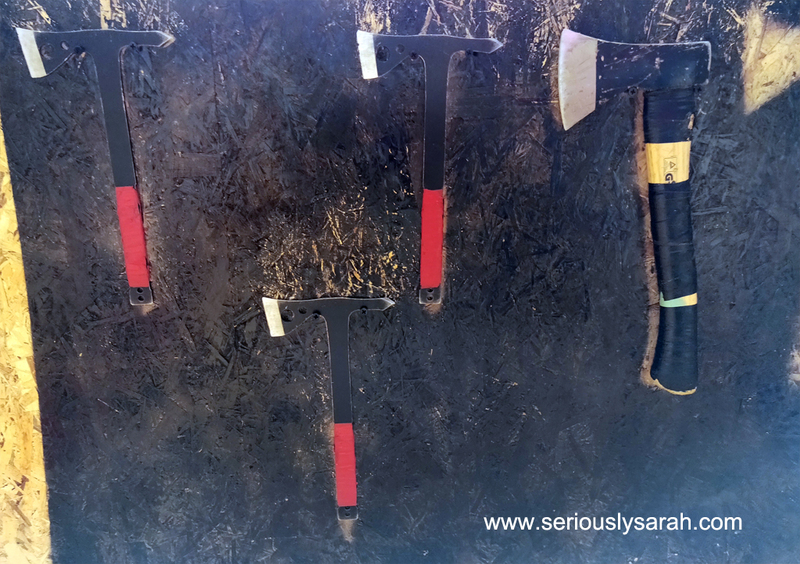 Here’s an artistic blogger type picture of axes…… Yeah. HAHAHA ANYWAY go check out Axe Factor if you really want to hit targets with it. It’s a good exercise for your arms. Previous Previous post: It’s Singapura! Next Next post: SGIFF: Sepet & One Two Jaga in Singapore!